Besides painting , he became known as a CBC (Canadian Broadcasting Corporation) journalist, hosting such shows as Umbrella and As It Happens, a columnist for the Toronto Telegram, and host of a Citytv variety show. 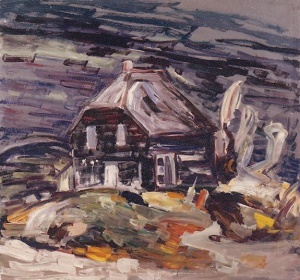 He continued to paint through the 1970s, ’80s and ’90s, moving to Montreal, Quebec, and then to Barrie, Ontario where he maintained an active studio. He gained some notoriety for his portrait series of Canadian Prime Ministers, a pioneering highly abstracted portrayal of heads of government opened by Prime Minister Pierre Trudeau in Toronto. The exhibition toured Canada, despite warnings not to exhibit the less than flattering portrait of then Prime Minister Brian Mulroney. 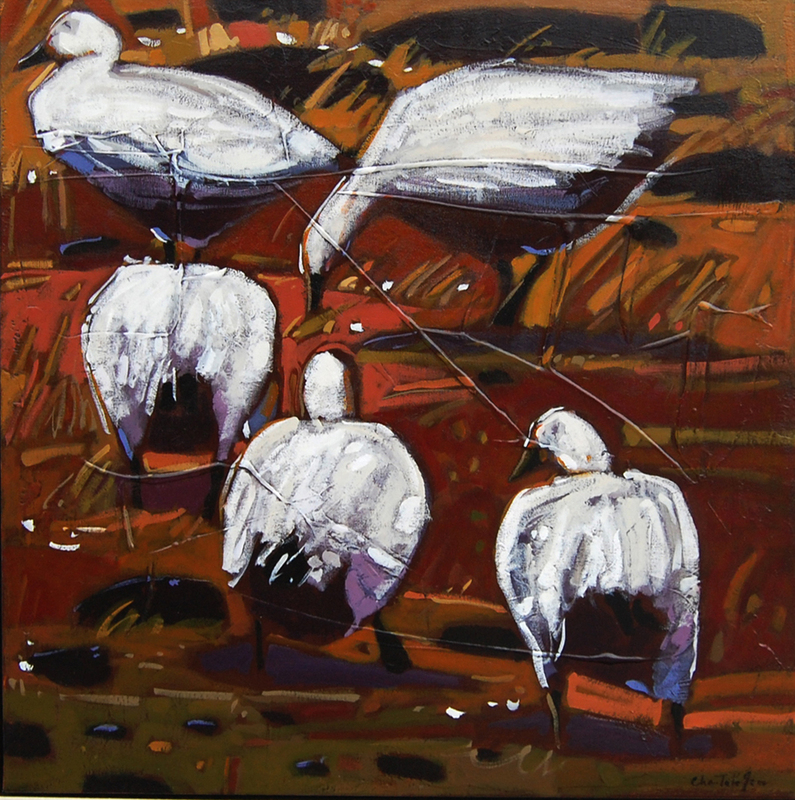 They are currently part of the permanent collection of the Kitchener-Waterloo Art Gallery in Kitchener, Ontario. Never a stranger to criticism or polemics, Ronald loved to paint in public, frequently hiring strippers and showgirls to dance around him as he painted. 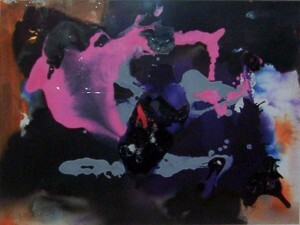 He continued to paint until his death in 1998 and in fact suffered a heart attack while painting. He lived long enough to name the work Heart Attack and succumbed a few days later. Rene Richard, was born in Switzerland in 1895. His family relocated to Alberta, Canada in 1909, when Rene was only 9 years old. He began his studies in fine art in Edmonton in 1926. The following year, he visited New York, but eventually settled in Paris in 1927. While in Paris, he studied at Academie de la Grande Chaumiere and at the Academie Colarossi until 1930. It was in France that he met Clarence Gagnon and James Wilson Morris. Clarence Gagnon will have a big influence on the young Richard, it’s him who conviced him to capture on paper or on wood board the everyday scenery of Richard’s wild trapping adventures, he also introduced the artist to the magnificient region of Charlevoix. Back in Canada by 1930, he began trapping animals in Western Canada and in the Arctic until 1942. Spending so much time living outdoors in the middle of the woods, inspired this artist to paint the beauty of the great Canadian landscape. He has worked in several mediums including, pencil, charcoal, watercolor and oil. After his stint in the arctic, he moved to the Baie Saint-Paul region of Charlevoix, where the scenery is unique. 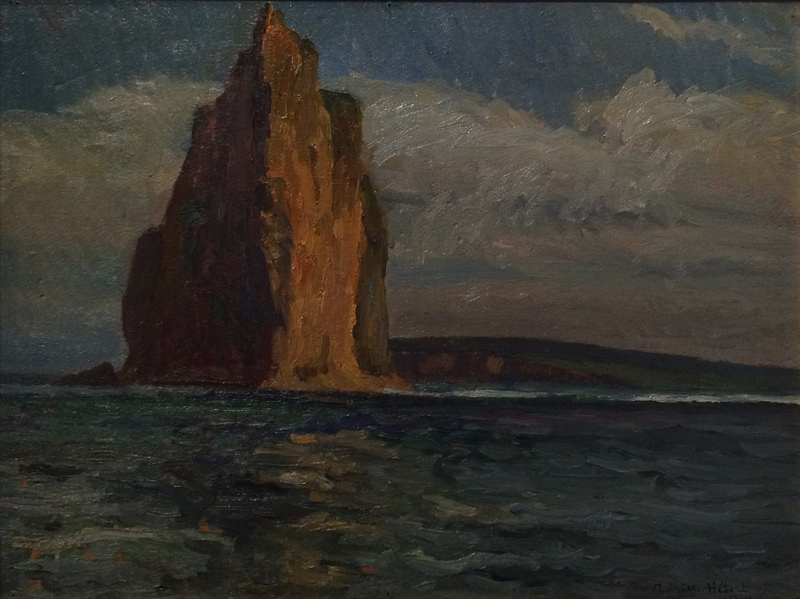 His mentor, Clarence Gagnon, had now successfully convinced Rene Richard to dedicate himself to painting. He settled down, and wedded with Blanche Cimon. In the 50’s he left a few times the comfort of his Baie St-Paul home to explore the northerns territories. 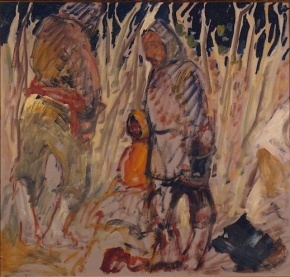 From 1948 to 1950, Rene Richard exhibited his work at the Montreal Museum of Fine Art and held several solo exhibitions at the Musée de Quebec from 1967-1977. He is a member of the Royal Canadian Academy and his paintings can now be found in the collections of the National Gallery of Canada, at le Musée de Quebec, the Universite de Laval, and in Several Galleries across Canada. René Richard (1895–1982) is remembered as a remarkable and charming man who followed his passions. He spent the first half of his life in search of himself, surviving in the wilderness in harsh conditions. Richard’s father had emigrated from Switzerland to settle in Alberta, but Richard chose a nomadic existence among the Cree and Inuit in Canada’s North. All alone in these wide empty spaces, Richard became an artist. In 1927, he decided to study painting in Paris, where he met Canadian painter Clarence Gagnon. Upon his return to Canada in 1930, he again took up trapping, this time in Manitoba, before finally settling in Baie-Saint-Paul where he spent the rest of his life, painting the luminous, brightly-coloured landscapes of the Charlevoix region in a style halfway between traditional figurative painting and the emerging Quebec expressionism of the 1950s. 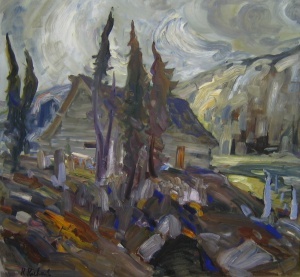 Richard’s work shines a light on many aspects of Canada’s natural landscape and social history and represents a major contribution to Canadian art. 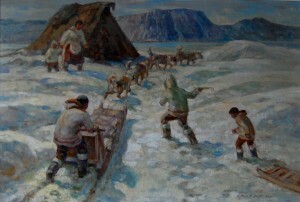 Whereas Canadian landscape paintings rarely depict human figures, Richard’s are often populated with the silhouettes of trappers, hunters and First Nations or Inuit people, as well as their sled dogs, tents, and huts. These silhouettes enter the landscape to bear witness to a way of life that, from adolescence into his forties, Richard shared with the trappers and aboriginal peoples of northern Alberta and Yukon, Nunavut and the Beaufort Sea area. Richard’s highly personal and somewhat expressionistic style conveys the struggle for human survival amidst the harsh northern environment of polar deserts, vast forests and rivers. René Jeanrichard (later shortened to “Richard”) was only 11 when he began working at the family watch factory, where his father engraved pocket watches. A financial setback was behind Richard’s father’s abrupt decision to gather his sons and set off for Canada. Richard’s mother and four sisters eventually rejoined the men. The family had little choice but to work like slaves, “learning to live as settlers in the harshest, most demanding manner conceivable, without a moments rest either during the week or on Sunday.” Tiring of this ceaseless labour, the father finally gave up working the land. The clash of his childhood memories with “the freedom the Indians seemed to possess” inspired Richard to take to the woods with a friend named Charly. The pair spent entire days roaming the area on snowshoe, learning the valuable lessons this country of forests and lakes had to teach them about living in the wild. Richard crossed paths with people of all origins, accompanied by their dog teams, and repeatedly visited the aboriginal people camped along the lake, whose free way of life he admired. Finally, he decided to make this way of life his own. For thirteen years, from 1913 to 1926, Richard learned the woodsman’s and trapper’s ways. With only a packsack, he travelled by snowshoe in winter and canoe in summer, criss-crossing northern Alberta, Saskatchewan, Manitoba and even the Northwest Territories (now Nunavut). From Edmonton via Dawson, then a key stop for gold seekers en route to Alaska, he traveled down the Mackenzie River to the Beaufort Sea where he spent time with the Inuvialuit. He would, however, always return to Edmonton. It was there that he took his first drawing classes. 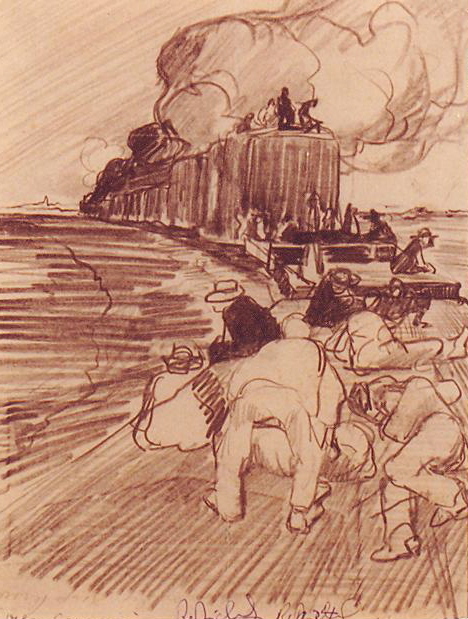 Attracted by painting, he decided to leave for France to study at a reputed academy in Paris. In early 1927 Richard registered at Académie de la Grande Chaumière, where Quebec painters Kittie Bruneau and Jean-Paul Lemieux would also study, and took a room at a small hotel near Montparnasse. Little interested in the other students’ internecine squabbles over competing artistic currents, he was almost ready to pack it in and go home after four months spent mastering his technique. Fortunately, the Montreal painter Clarence Gagnon took Richard under his wing. 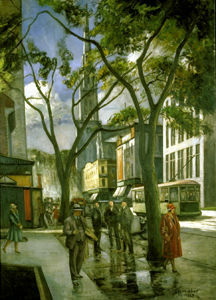 Gagnon encouraged him to visit the museums and to draw and paint in the street. Falling back on his nomadic ways, Richard would also periodically pack his knapsack and set off to explore the countryside. In this way he traversed the Haute-Savoie region, the Côte-d’Azur, and even Switzerland, invariably returning to Paris with a great many drawings and paintings. Richard returned to Canada in 1930. Once home, he discovered the familiar landscapes that occupied his dreams. He recalls spending his days “hanging around,” drawing the First Nations people on the neighbouring reserve. But the woodsman’s life was calling. 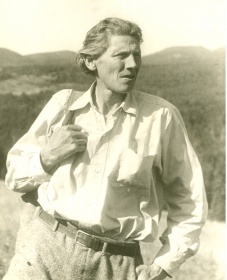 In August 1930 Richard outfitted himself and headed for the wilderness. There he began drawing and painting like a man possessed. It was during this period of intense production that Richard came into his style. He still led the life of an outdoorsman, but paints and pencils were always now part of his gear. Unable to afford paper or canvas, he used rolls of butcher’s paper cut down to the desired size. He would even scrape the paint off previously painted boards, destroying old works to make way for new ones. Richard hadn’t forgotten his long-standing dream of tackling the Churchill River; he successfully completed the perilous journey in 1933. But the growing desire to paint would lead Richard to change his life. 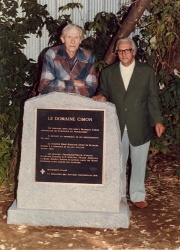 In 1938 he accepted his former mentor Clarence Gagnon’s invitation and moved to Montréal. Summer 1938 was a pivotal moment in Richard’s life. It began on Île d’Orléans, near Quebec City, where Richard helped Gagnon take inventory of the works of Horatio Walker, a recently deceased painter. Then the two visited Baie-Saint-Paul. They stayed with the Cimon family, who had often put up Gagnon on his earlier trips to paint the Charlevoix region. Then, through Gagnon’s friendship with the deputy hunting and fishing minister , René obtained a position as a game warden in the Parc de la Montagne de la Table at the foot of Mont Albert on the Gaspé Peninsula. This ideal seasonal job allowed Richard to earn a living through the fall while giving him time to paint in the open air. Unfortunately, a government decision eliminated the position and the following autumn found Richard unemployed. His savings were enough to get him back to Baie-Saint-Paul and the hospitable Cimon family. Richard loved both the town and its landscape; he could see why it was his friend Clarence Gagnon’s favourite place. He moved in with the Cimons, who greatly appreciated the odd jobs he did for the family. Blanche, the family daughter, was won over by his thoughtfulness and consideration. The two married in 1942, despite opposition from some relatives. Not everyone in town approved of this atheist outsider; rumour even had it that Richard was a Russian spy! Fortunately, everything settled down in the end. From that point forward, René Richard dedicated himself to his art full-time. In 1943, he sold his first paintings and held his first exhibition at L’Art Français, a Montréal gallery. It was a smash: within a day and a half, every painting had been sold. Richard was able to pay back his debts. His work was then looked after by high profile galleries in Montreal (Klinkhoff) and Quebec City (Zanettin). 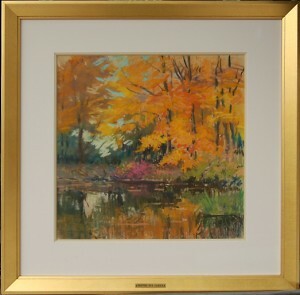 René Bergeron in Chicoutimi also continued to show Richard’s work. Richard’s reputation started growing. Artists, journalists and celebrities began knocking on his door. His routine was to receive guests over tea after his afternoon nap. His paintings were arranged for daylight viewing on the balcony of his large studio, adjoining the house. In 1948 and 1951 he joined expeditions to the Far North as a government consultant. 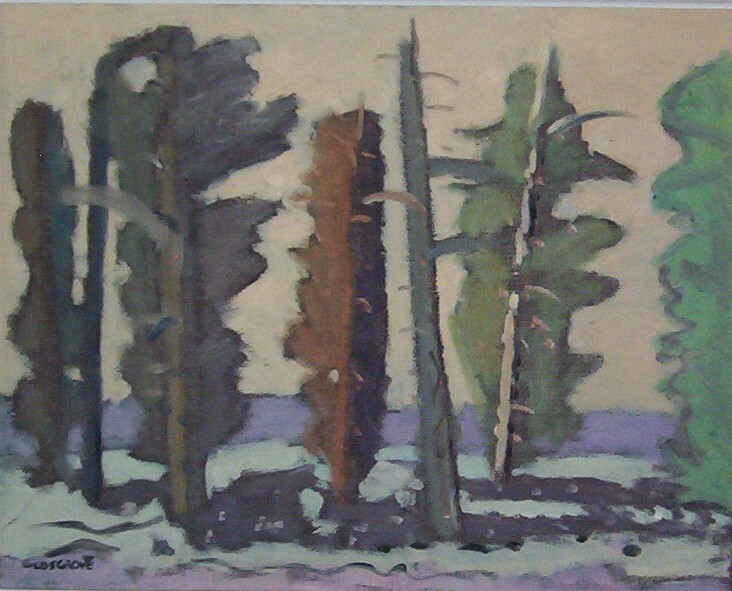 These trips inspired the large-format northern landscapes Richard painted from memory between 1950 and 1965. In later years he chiefly produced scenes of the Charlevoix region where he made his home. He also became close friends with the authors Gabrielle Royand Félix-Antoine Savard, among others. During Queen Elizabeth and Prince Philip’s 1959 royal visit the couple was presented with a large René Richard painting depicting the Saguenay Fjord with two capes, Trinité and Éternité, in the background. In 1973, at age 78, Richard was decorated with the Order of Canada. He travelled Europe with his wife Blanche and friends, including a visit to La Chaux-de-Fonds in his native Switzerland. 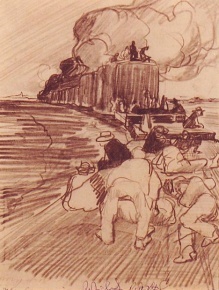 Once home, he put aside painting and took up drawing again. Eye problems forced him to adopt new techniques, which he used to draw scenes of the Far North from memory with felt pens and colour pencils. 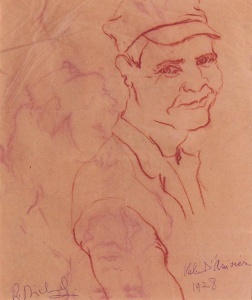 During these years Richard divided his time between his garden, his friends and his drawing. In 1975, he illustrated Gabrielle Roy’s La montagne sécrète (translated as The Hidden Mountain) whose main character, Pierre Cadorai, was based on Richard. Another illustrated book, a new edition of Félix-Antoine Savard’s seminal novel Menaud, maître draveur (translated as both Boss of the River and Master of the River) came out in 1979. In 1980, Richard was made member of the Royal Canadian Academy of Arts. 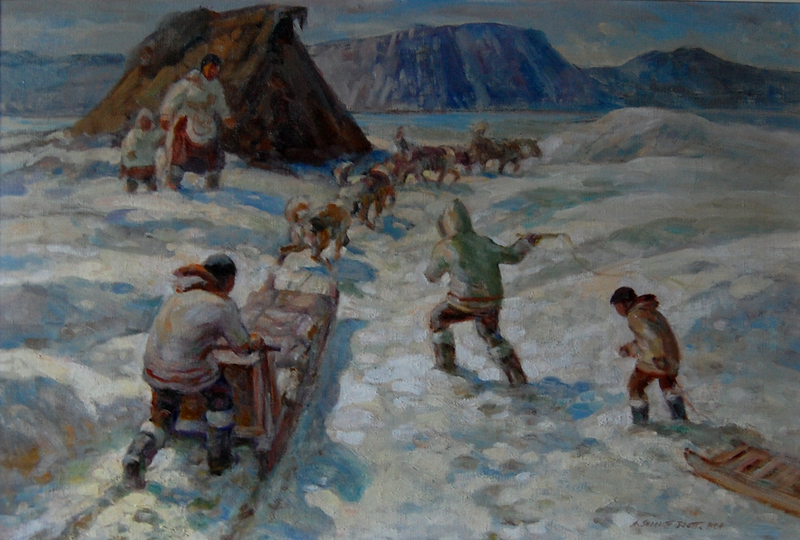 Two years later, one of his works depicting Nunavut, Great Slave Lake, was chosen by Canada Post for its 12 stamp themed series, “Canada Through the Eyes of its Artists.” René Richard died that same year, at age 86. His ashes were scattered from a helicopter over Parc des Laurentides near Baie-Saint-Paul, where a lake now bears his name. René Richard will be remembered as a man with a zest for life, a man who realized his dream of capturing both the beauty and the violence of Canada’s arid, inhospitable, and often tumultuous wilderness, and lived to fulfill his dreams. René Richard’s immense talent was widely recognized by the late 1960s. Several major exhibitions of his work were held both during his lifetime (Musée du Québec, 1967 and 1978) and posthumously (City of Montréal, 1986; Villa Bagatelle, Quebec City, 1990; Chaux-de-Fonds, Switzerland, 1992–1993; Centre d’Art de Baie-Saint-Paul, 1993; and Domaine Cataraqui, Quebec City, 1996). 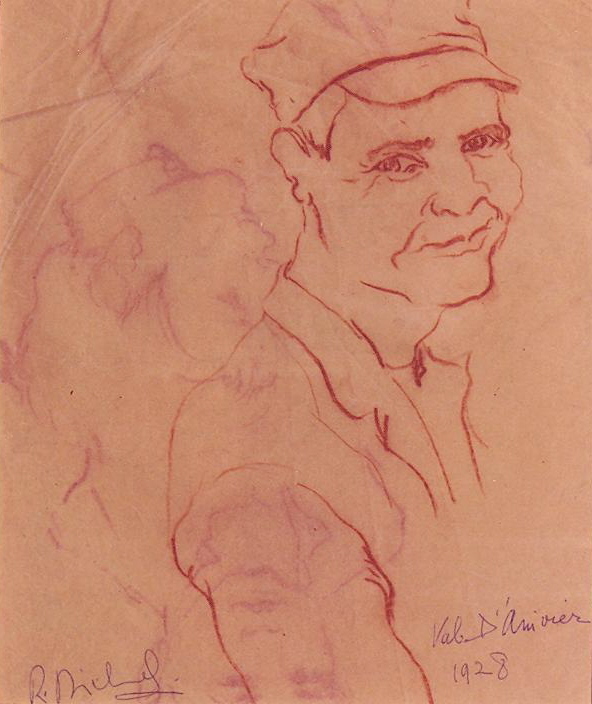 In October 1980 Richard donated a sizeable collection of his work to Laval University: 46 paintings and sketches as well as a dozen drawings used to illustrate Menaud, Maître-draveur. On his death he bequeathed a second collection of 131 paintings and drawings to the university. The René Richard foundation, created to commemorate the artist’s life and work, endows several scholarships awarded annually to Laval University visual arts students. In these myriad ways the legacy of this artist who so loved wide open spaces and freedom lives on.